Podiatry specialists, dedicated to providing a first class service in lower limb and foot care. Feet First offer a wide range of professional medical and therapeutic foot treatments. Contact the team at Feet First Foot Clinic to schedule a convenient appointment . Feet First Foot Clinic offers a full and comprehensive range of podiatry treatments for any condition affecting the lower limb and foot, whether it’s general foot care, nail surgery, nail care, diagnosis of skin problems, massage, pain therapy, corns, calluses, pampering or pedicures. Each client consultation is tailored to your own personal requirements. 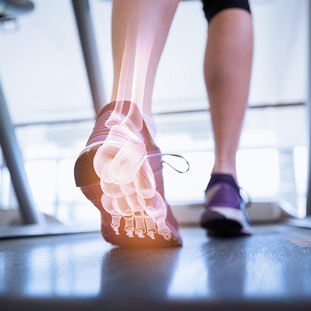 Our BSc (Hons), MChS, HCPC Registered Podiatrist Elaine Parker Brown and associates will address any lower limb problems, foot care or footwear issues that you may have. Feet First Foot Clinic is based in the City Clinic practice providing a professional, holistic approach to your care and requirements and are able to liaise with other practitioners, both private and NHS if required to ensure a complete care regime. Feet First Foot Clinic combine experience and professionalism with a personal touch to provide an array of effective services and treatments. Each treatment option is tailored to your specific requirements to get you on the path to recovery as quickly as possible. See how we can help you! Assessment and treatment as required including nail trim and file, corn callous or hard skin removal with the application of special hydrating and soothing foot cream. Includes everything from our General Footcare treatment option with an additional therapeutic foot massage and mini reflexology. A therapeutic, relaxing massage applying the reflexology principle. Soothes tired aching feet and promotes a sense of well being. Contact us to schedule a convenient appointment and let the experts at Feet First Foot Clinic give your feet the care they need. Following years of being uncomfortable I can now walk with ease after regular treatment at Feet First. Corns, corns, corns the bain of my life, not now! Elaine at Feet First has got things under control. Delightful clinic with very professional and helpful staff. On my first visit to the City Clinic and Feet First I was so impressed with the staff and the set up. I did not realise how many different therapies that the Clinic offered. My thanks to Elaine Parker-Brown for a wonderful pedicure and foot treatment, I look forward to returning for more pampering! So pleased that I could find a Foot Clinic that provided exceptional service. All the staff were friendly and welcoming, and location so convenient. I would not hesitate to recommend Feet First to all of my friends. Elaine advised on my footcare at home between sessions. My feet are now in great shape and ready for my summer sandals. Whilst on holiday recently I had what I thought was an ingrowing toenail, I contacted Feet First for treatment, Elaine was very friendly and professional, after a painless treatment I was able to carry on with my holiday pain free. Many thanks! Having suffered from verruca's for many years, visited numerous chiropodists and parted with thousands of pounds it was Elaine who successfully treated and cured my condition. The service is friendly and accomodating whilst remaining very professional. I would not hesitate to recommend Elaine to keep your feet in tip top condition.